Our law firm has expertise in the following areas of practice. Handling loan documentation, collections, foreclosures and bankruptcy matters on behalf of financial institutions or their clients. Representing borrowers or lenders in small business and other loan transactions. Advice on, and formation of, corporations, partnerships, and limited liability corporations for buyers of small businesses. Representing clients in civil and criminal litigation, with matters arising under state and local statutes and the common law. Providing legal representation in automobile accident cases and product liability cases. Represents clients in divorce, adoption, child custody, visitation, child support, and guardianship proceedings. Consults clients with filing for Social Security benefits. Mr. Showalter is a member of the National Organization of Social Security Claimants’ Representatives (NOSSCR). For more information on applying for Social Security benefits visit Social Security Benefit Application. Legal matters related to buying and selling residences, landlord/tenant matters, boundary disputes, and waterfront property rights. Drafting wills and creating trusts, handling probate matters, and estate planning. Our experienced legal team has years of experience with complex civil and criminal cases. 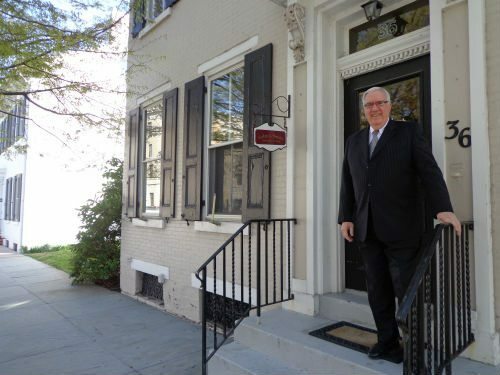 Graham has been providing general practice legal counsel in Central Pennsylvania since 1969. He is a third generation attorney in Lewisburg. He served as District Attorney of Union County for 20 years. 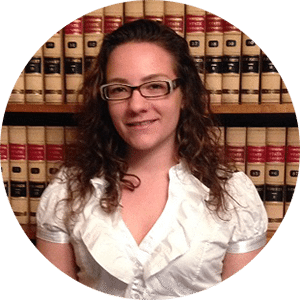 Kylie assists Attorney Showalter with Criminal Defense, Real Estate, Estates, Trusts, Wills, and Power of Attorneys. She earned her Bachelor of Arts degree in Philosophy at Smith College and holds a Paralegal Certificate from Lock Haven University. 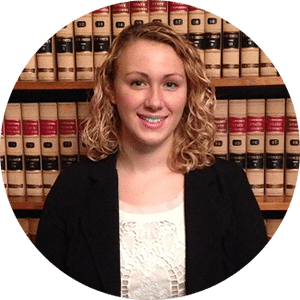 Kylie is currently pursuing her law degree at Widener University School of Law. Rachel supports Attorney Showalter with Adoption, Custody, Divorce, Family Law, Social Security Disability and Bookkeeping. She earned her Bachelor of Arts degree in Political Science and Psychology at Penn State University. Rachel will be attending Penn State Law and Penn State Smeal College of Business in the fall to pursue her law degree and Master of Business Administration. Funeral services were conducted at 2 o’clock Tuesday afternoon in the Raymond C. Erdley funeral home for Attorney Harry M. Showalter, 70, of 807 Market Street, who died in Evangelical Hospital at 2:30 p.m. Saturday after a lengthy illness. Mr. Showalter, who had practiced law in Lewisburg since April of 1908, served as a state legislator for four terms and at one time was chief counsel, for the Public Utility Commission. Following the Monday morning county court session, the Union County Bar Association called a special meeting in which the members held a memorial service. Each attorney present spoke brietly of his association with Mr. Showalter. Operated upon several months ago in Philadelphia, Mr. Showalter had shortly thereafter returned to his work in the law firm of Showalter and Showalter. which he and his son, Attorney Paul M. Showalter, had established 13 years ago. He became ill in late October and was admitted to Evangelical Hospltal December 4. Born in Hartley township September 15, 1879, Harry Mlller Showalter was the son of the Iate Daniel and Elizabeth Walter Showalter. In 1898, after attending county schools he was graduated from Dickinson Seminary in Williamsport. Mr. Showalter subsquently attended Dickinson College, Carlisle, graduating in 1904 and he received his degree in law from there two years later. Among the many offices Mr. Showalter held were those of state assemblyman during the 1913, ’15, ’17 and ’19 terms; borough solicitor from 1913 to 1939, chief counsel for the PUC from 1939 to 1943; and director of Lewisburg Gas Company. In addition, Mr. Showalter was a member of the official board of Beaver Memorial Methodist church for 40 of his 41-year affiliation with the church and superintendent of the Sunday school for 19 years. He was a member of the Lewisburg Rotary Club, Mifflinburg Masonic Lodge, Williamsport Consistory, Wilkes-Barre Shrine, Lewisburg, IOOF and the Lewisburg Royal Arcanum Council. Surviving besides his wife, the former Miss Bess R. Clayton, Wheeling, W.Va, and his son are two grandsons, Graham C. and Paul M. Showalter, Jr. and a brother, Charles M. Showalter, steward at the Laurelton State Village. Officiating with the rites which concluded with interment in the Lewisburg cemetery was Rev. Kenneth R. Rose, pastor of Beaver Memorial church, assited by Rev. Dr. Harry F. Babcock, State College, and Rev. Andrew L. Bixler, Harrisburg, predecessor of Rev. Rose. 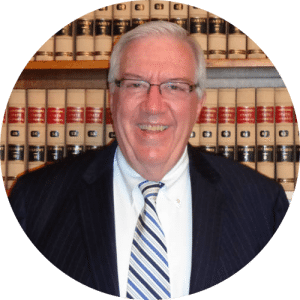 A general practice law firm, Graham C. Showalter has been serving Union County – Lewisburg, PA and the surrounding area since 1969. Our team has the wisdom, experience, and understanding of community dynamics to help you achieve your goals. 36 S. 3rd Street, Lewisburg, PA 17837. ©2019 Graham C. Showalter, Attorney · Built by MePush.